The later two are linked to my reviews, as I did manage to get to those two titles. Churchill has been an interesting read. For one thing, I recognized once I got started with the first book in the series, The Gathering Storm , that this was going to be A Project for me. A worthy project and one I find myself taking great delight in. I love reading Churchill's history of World War II and am working on a reader's diary post as I move through it. The bad thing is, my dreams started featuring certain terrorizing aspects of the war and I've woken up in a cold sweat with a pounding heart in the last week, regretting the fact that our home does not have a bomb shelter attached to it. (Rather terrifying.) Everything about the war is working its way in and while I very much enjoy learning about it, I think I need a bit of a distraction from it every now and again. All that to say, I'm moving through it slower than I anticipated because I'm trying to break up the intensity of it with "lighter" reads. The title should explain my enthusiasm and anticipation for this read! 4. 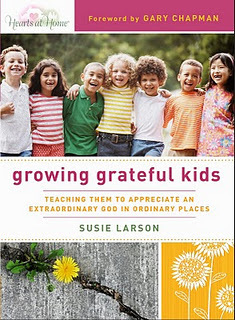 Growing Grateful Kids: Teaching Them to Appreciate an Extraordinary God in Ordinary Places . I picked this book up last spring with the intention of reading this one before the holidays. If I don't read it before the holidays, I'll kick myself. Now's the time! So I'll be working my way through this one - hopefully sooner, rather than later. So, that's what's on my nightstand this month and why. What's on yours? I'm looking forward to finding out! Looks like a good project for the month! I can so relate to the book-induced nightmares! I have to be choosy about what I read. I'd live to know more about how you got to know a publicist so well! I've liked others of Meissner's books that I have read, but was wasn't sure from the description of that one what I'd think. I'll look forward to your thoughts on it. Looking forward to hearing what you think about The Sound Among Trees now! And I also know what you mean about books getting into your dreams. When I was reading Bonhoeffer and Unbroken at the same time, my dreams took it on. Not fun. I want to read Lit! also. I keep seeing it pop up and hearing good things about it. Have fun! Yes, it's nice to focus. You have some great titles on your list! Can't wait to hear what you think about them. 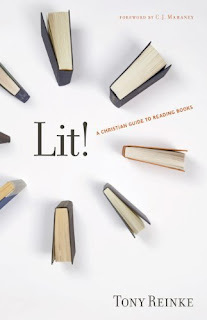 I am interested in what you think of Lit. I have it on my list, but not sure if I really want to read it or not. Sounds like good reading. I've never made it thru WSC's WWII or History of the English Speaking People, but have continued to work on it bit by bit over the years. I'd love to see a blog that was just reading those two series! You are the first female in my acquaintance to attempt Churchill's WWII - most give me "the look" when I mention it. You are right that it is a project. At 5000+ pages, what else could it be? I did find it highly rewarding, however. I'm glad you finally got to Unbroken and that you enjoyed it so much! It really is a great book. Churchill's series on WWII sounds fascinating, I'll have to add that to my "some day" list. 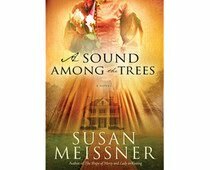 :) A Sound Among Trees also sounds really intriguing, I loved The Shape of Mercy but haven't read anything else by her. Yikes! I can't imagine how intense it would be to dream about World War II like that. I've read books that have kept me from entering my dreams, but never books that have entered my dreams themselves (thank goodness). I think you certainly can afford a break for lighter fare every now and then! Growing Grateful Kids and Lit look like great reads. My hat is off to you for attacking Churchill's books. I hope someday to read them! Lit is already on my to-read list! And I think it's super cool that people ask you to review their books. Actually I'm mainly excited because I know someone that important. muahaha! 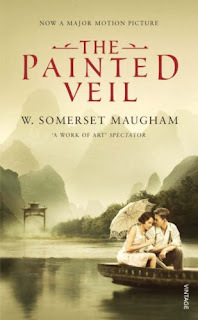 Your cover for The Painted Veil looks...well, like it fits with the "full name" of our book club I sent you earlier today. I had Lit! on my wishlist, but then saw a review that made me realize it wasn't even close to what I thought it was. I'll be really curious to hear what you think about it, though! Lit sounds both intriguing and intimidating; is that weird? Great list, as usual! And, as usual, I look forward to your reviews! I thought Susan Meissner sounded familiar. I read The Shape of Mercy and enjoyed it very much. I will look for this one, also. Thanks for your post. 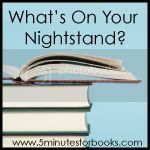 It's a bummer when we miss the Nighstand posts due to being out of town... For October, I had my post written before I left for Oregon and I tried to publish it while I was gone but Blogger would not cooperate! Lit! sounds really interesting, as does the Painted Veil. I look forward to reading your reviews!